If you are looking to purchase a small exercise bike to use in your homes, then the best option for that product is presented to you by the official franchise of the Telebrands PAKISTAN. 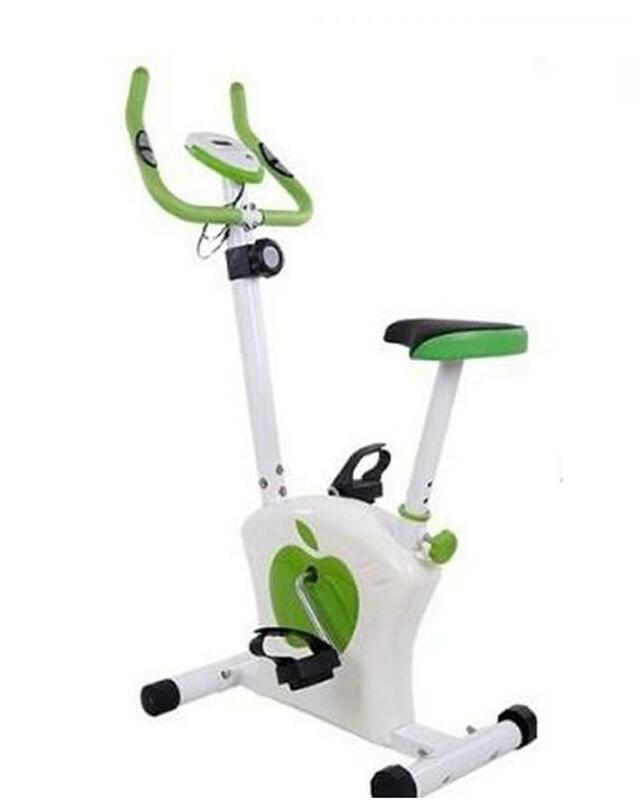 The name of this quality product is Apple Fitness Bike. The Apple Fitness Bike, as the name clearly indicates, is a premium quality exercise bike designed to use in homes, offices and fitness centers. The Apple Fitness Bike is made from the solid and quality materials, so you don’t have to worry about the quality of the bike at all. The Apple Fitness Bike is an ideal exercise bike designed specifically for those individuals who want to remain fit all the time without compromising their duty hours. The Apple Fitness Bike is equipped from the LCD display that shows different real time exercise readings to the user. The Apple Fitness can easily support the maximum weight capacity up to 100 Kilograms, so it means that all the individuals who have 100 KG or less weight can easily use this machine without having any problems whatsoever. The Apple Fitness Bike is a portable and lightweight exercise machine that you can almost place and use to anywhere else to start exercising with it. You can easily purchase this quality exercise machine from the official franchise of the Telebrands PAKISTAN just by dialing the number 0333.4115583.